Business confidence is a key issue for business leaders. This briefing will look at the latest findings from the ICAEW/Grant Thornton UK Business Confidence Monitor Survey and Rathbones’ analysis on the current economic environment will provide you with a fascinating insight into what strategy one might wish to adopt when investing in a rising interest rate environment and how in reality this translates into a portfolio. The ICAEW/Grant Thornton UK Business Confidence Monitor (BCM) gives a quarterly snapshot of the state of the economy and provides a useful predictor of economic change. 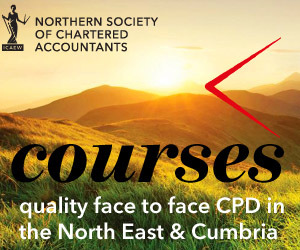 Keith will look at the latest survey results from ICAEW members working in business across Northern region and the UK, review the findings and discuss the likely prospects for business in northern and the rest of the UK in the coming months. David and Nick will give a detailed discussion on the current economic environment drilling down into which areas of the globe are pulling ahead and which are potentially falling behind. They will also talk about how interest rates and inflation-deflation might well cause a speed bump due to the affects of unemployment, wage growth, interest rates and house prices. They will then look at how this converts into possible strategies, if you’re choosing to invest within this type of environment, before finally revealing how this can all be pulled together to create a portfolio. Breakfast and networking will be available from 07:45 in the café area, the briefing will start 08:00hrs in a private cinema area upstairs.